The Academy’s board members hold the flame for our organization’s mission, connecting the organization throughout their networks to expand its reach and impact. Rinaldo S. Brutoco is the Founding President of the World Business Academy. Rinaldo S. Brutoco is a successful entrepreneur, executive, author and futurist, and the Founding President of the World Business Academy. Rinaldo has published numerous cutting-edge articles and books that address the role and responsibility of business in relation to the critical moral, environmental, and social concerns of the day. A regular keynote speaker at conferences and guest lecturer at business schools such as Stanford Business School, the Columbia Graduate School of Business, the Kellogg Graduate Business School at Northwestern University, and the Keenan-Flagler Graduate School of Business at North Carolina University. For over 30 years Rinaldo has been widely recognized as a practical visionary and change agent. Rinaldo served as Chair of the Executive Committee of the Board of the Chopra Foundation from 2014 to 2017 and currently serves on the Board of the JUST Capital Foundation which he co-founded. On the Board of JUST Capital, he currently serves on the Executive Committee, as Chairman of the Audit Committee and as Chairman of the Finance Committee. Rinaldo has served on the Board of Directors of the $3.5 billion market capitalization men’s clothing company, Tailored Brands, Inc. (formerly Men’s Wearhouse), since its IPO in 1992 and has co-founded and served on numerous non-profit boards, including the Gorbachev Foundation of North America, the Omega Point Institute, and the National Peace Academy. He also served as Founding Chair of the Unstoppable Foundation until 2017. Mr. Brutoco is an economics and business expert specializing in energy policy, renewable energy, finance, innovation, and the causes of, and adaptation strategies for, climate change. For his entire career he has been an international leader in advancing the nature of good corporate governance, corporate accountability, business transparency, and ways that corporations can fulfill their social compact by providing goods and services that the public needs and wants in appropriate, and financially prudent ways. He received a Congressional Commendation to this effect in October, 2010 for his outstanding contributions to the field of corporate responsibility. At the age of 25, in 1972, Mr. Brutoco became the youngest attorney to argue before the California Supreme Court in the case of California Public Interest Law Center v. Public Utilities Commission. Brutoco, Founder and Principal of the California Public Interest Law Center, won what was then the largest class action lawsuit in the history of the United States. As a merchant banker, Mr. Brutoco has run a start-up and turnaround practice for more than three decades, in which he regularly dealt with forensic accounting, restructuring, operations, and finance. In this work, he was required to serve as an acting CEO, Board Member, Chairman of the Board or in some other senior management function in order to turn his client’s companies around or to guide them successfully past the start-up phase. In this capacity, Mr. Brutoco was appointed by the Federal District Court in Washington, D.C. as one of three directors in charge of United Press International (“UPI”) the first time it went into bankruptcy, with the specific task of taking over, running, turning around, and selling the company’s five television stations (in major markets like Chicago) and over 240 radio properties that were held in a UPI subsidiary, and returning the proceeds of those sales to the parent on whose board he sat. Mr. Brutoco successfully kept every one of these stations out of bankruptcy, turned them around and sold them all for a substantial profit within 18 months. In the 1980’s, Mr. Brutoco conducted complicated analyses of tax shelters. This work was reviewed by the United States Tax Court, and Mr. Brutoco was nominated for, and approved, as a tax expert for all purposes without restriction in connection with his provision of testimony in complex cases before the tax court as an “Expert” witness. Mr. Brutoco is currently also designated as a financial expert for purposes of reporting to the U.S. Securities and Exchange Commission. As an entrepreneur, Mr. Brutoco has spearheaded several businesses. He is: Principal and Chief Executive Operator of the ShangriLa Group, Inc.; Founder, Executive Chef and CEO of Seven Oaks Ranch, an organic food company, and Founder and CEO of Live Well Brands, Inc., an organic cosmetic manufacturer with distribution in over 3,500 outlets in the United States, which is growing at high compounded annual rates; and, is the Founder, Chief Designer and Chief Technical Officer of H2 Clipper, which has developed a revolutionary, highly-patented, hydrogen-powered dirigible which utilizes advanced aeronautical design, 100% green energy, and advanced materials technologies. Co-Founding Channel 100 in 1972, Mr. Brutoco was the COO of the first company in the world to offer pay cable television services and was the Founder and CEO of Universal Subscription Television in 1978, one of the first companies to offer over-the-air television transmissions of major motion pictures. Also, he was the Chairman of the Board for the two start-up years of an organic probiotic beverage company, KeVita, one of the fastest growing organic probiotic beverage companies in history that sold to Pepsi in January 2017. Additionally, Mr. Brutoco served as the CEO and Chairman of the Dorason Corporation, the sole distributor for 10 years of Mother Teresa’s personally endorsed biographical motion picture, Mother Teresa (1986). In 2007 Rinaldo co-authored Freedom from Mid-East Oil, a comprehensive treatment of the energy and climate change landscape. His most recent book is Liftoff: The Rise of the Hydrogen Economy. Core areas of Rinaldo’s work include clean energy, climate change analysis and mitigation; sustainable business strategy; values-driven leadership; the development of the human potential at work; global reconstruction; and innovative financial products for Sustainable Responsible Impact Investment (SRI). President and Board Member, Omega Point Institute, Inc.
President and CEO, Seven Oaks Ranch, Inc.
President and CEO, Live Well Brands, Inc.
Diane V. Cirincione, Ph.D. is a therapist and former postdoctoral clinical researcher at Langley Porter Psychiatric Institute at the University of California, San Francisco. In addition to her Masters and Ph.D. degrees in Clinical Psychology, she also has expertise and her B.S. Degree in Organizational Behavior. Dr. Cirincione is an internationally known lecturer and author as well as an entrepreneur with 40 years business experience in corporate as well as the owner of her own six companies. 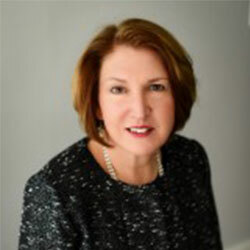 She serves on numerous boards including Mo-DV and as President of the Jampolsky Outreach Foundation. JOF is a non-profit foundation responding to worldwide requests to introduce and mentor culturally appropriate adaptations of Attitudinal Healing, integrating this innovative, time tested psycho-social-spiritual model into every aspect of daily life. She is co-founder and Executive Director of Attitudinal Healing International (AHI), an educational, logistics, and support organization working with and mentoring Attitudinal Healing Centers, Groups, and innovative development projects globally. From 1982-1992 through the project, “Children as Teachers of Peace,” Dr. Cirincione helped inspire individuals from numerous countries including the former Soviet Union and The Peoples Republic of China, to bridge youth from conflicting countries around the world. In addition to extensive work overseas, Dr. Cirincione is also the author of Sounds of the Morning Sun and The Identification of Relationships Between Women Witnessing Spousal Abuse in Childhood and Psychological Symptomatic Distress in Adulthood. She is co-author with her partner and husband, Dr. Gerald Jampolsky, of Love Is The Answer; Wake-Up Calls; Change Your Mind, Change Your Life; Simple Thoughts That Can Change Your Life; A Mini Course for Life, Finding Our Way Home, and for children, Me First and the Gimme Gimmes. Marie Case, a senior partner of Praemia, has worked for 30 years with senior leaders across the globe on the design and implementation of large and complex change initiatives. She is skilled at guiding leaders on both a personal and organizational transformative journey by bringing their hearts and minds to serve the organization’s deeper purpose. Marie has been on the forefront of developing and applying language-in-action practices to accelerate high performance and deliver breakthroughs in business. Previously, Marie worked at two prominent management consulting firms, partner of The DiBianca-Berkman Group and Vice President at CSC Index where she led their Management Transformation Practice for Europe. Marie has worked with senior teams at some of the world’s largest corporations helping them to navigate both their business journey of producing results and the change journey of creating a new future. Her clients have included Allstate, Novartis, Reebok, and Whole Foods. Marie partnered with representatives from the Secretary General’s office of the United Nations to form a team of key business leaders focused on exploring how business can contribute to the delivery of strategic global goals. For the past eight years she has been a passionate participant in the Conscious Capitalism Movement. 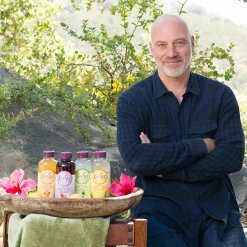 Entrepreneur and businessman Bill Moses is committed to bringing consumers healthy choices in organic and better-for-you products. This passion led him to co-found KeVita Probiotic Drinks Inc., where he served as its Chairman and CEO until selling to PepsiCo in 2016. Bill is currently consulting with several food and beverage companies as a strategic advisor and investor as well as serving on their board of directors. He also incubates new ventures. Bill owns Fermented Sciences Inc., an R&D company that develops and studies the functional health benefits of fermented drinks. He also started MicroBiome Skin Care Co., where he and his team are researching and developing a new functional skin care line that will support the probiotic health of our skin’s microbiota. In 2001, Bill established the Casa Barranca Winery, the first certified organic winery and vineyard on California’s Central Coast. Bill’s professional ethos focuses on Truth-in-Labeling and consumer protection. He ensures that all products related to the companies he owns and or advises are truthful in their messaging and health claims. He goes further by holding accountable other non-compliant companies by insisting on third-party independent lab testing to protect consumers. Bill has 20 years of Wall Street experience working in the capital markets after starting at Bear Stearns. Always a pioneer in new business ventures, he joint-ventured with the Chinese Academy of Science to develop the People’s Republic of China’s first computerized airline reservation system in the late 1980s. He later founded and was CEO of RnetHealth.com, a behavioral health cable-programming network and intranet service later sold to Liberty Media. An advocate for charity and the environment, Bill is the recipient of the Ellis Island Medal of Honor in 1998 for Humanitarian and Business Leadership. In addition to the World Business Academy, he currently sits on several non-profit boards of directors including the World Mercury Project. 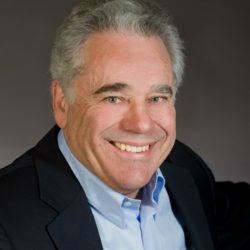 Bill previously served as honorary chairman of Cable Positive, whose mission is to organize the cable industry’s resources in the fight against AIDS. He served as Chairman of Opportunity Green, a sustainability conference partnered with the UCLA Anderson School of Business that brought together the brightest innovators leading the new green economy. 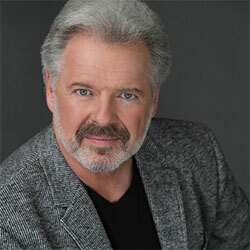 Bill lives in beautiful Ojai, California with his wife and three sons. Born in NYC, Dawa Tarchin Phillips grew up in a multicultural family in Europe and speaks English, German and French fluently. 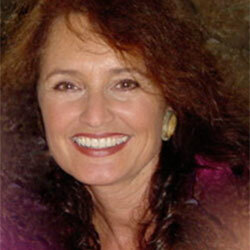 Dawa is a visionary global leader, spiritual teacher, author, researcher and entrepreneur based in Santa Barbara, CA. 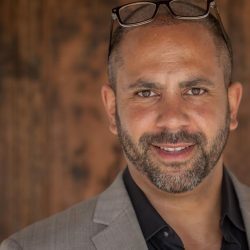 He is the President/CEO of Empowerment Holdings, LLC, a U.S. based international leadership training and consulting firm that trains business leaders and organizations on 5 continents in Mindful Leadership, Awakened Prosperity and Awakened Business approaches. He is the co-founder and former Director of Education of UCSB’s Center for Mindfulness and Human Potential where his research focused on the cognitive, affective and academic benefits of secular mindfulness training in school children, young adults and educational leaders, funded by the U.S. Department of Education. Dawa now serves as Executive Director and Founding Board Member of the International Mindful Teachers Association, 501c3, the world’s first professional organization for mindfulness teachers, mindfulness teacher training programs and professionals in the mindfulness field, and is a leading voice in the global mindfulness movement. He is the founder and board member of The Institute of Compassionate Awareness (TICA), a 501c3 registered public benefit initiative that supports secular mindfulness training for school children and youth, and a board member of Inward Bound Mindfulness Education (IBme), a 501c3 mindfulness and meditation retreat provider for youth around the United States and the world. An advanced Dharma and meditation practitioner for over 25 years, he completed two 3-year meditation retreats and teaches as an authorized, non-sectarian lama of the Kagyu School of Vajrayana Buddhism in the U.S. and abroad. He is the acting resident teacher of the Santa Barbara Bodhi Path Center and a member of the prestigious Transformational Leadership Council and the Association of Transformational Leaders. Dawa lives with his family in Santa Barbara, CA. Learn more about Dawa’s work here.